Do you have a rescue organisation you can call? Makes me sad :( Hope you have a rescue centre nearby that can take care of it. Poor thing! And he's having a "bad feather" day to boot! Poor little thing. He's looks a little ruffled. It must have been a windy day. Oh my, poor little bird. He's such a pretty little thing - hoping he will be ok! poor little guy, nature is hard. @koalagardens @oldjosh @rosiekind @cottiac @dianen @deborah63 @hermann @linnypinny @chard Thanks for all your concerns about this little chap. We do have a rescue group but as I've only seen him once I think it would be like trying to find a needle in a haystack trying to locate it. Hopefully it's mother may still be feeding it and I watched him drink from the bird bath ok.
Oh my word. What a face! He almost looks to have a cleft palate. His legs seem to be oddly splayed too - maybe just the wind though. What a great capture of this handicapped little chap. 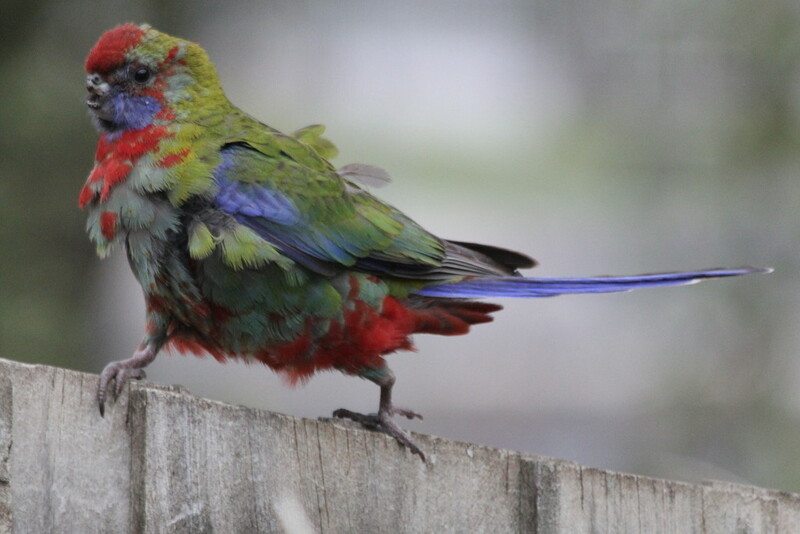 Wow, poor thing looks bedraggled..
Wow... such an interesting array of colours. Oh poor thing, it's got this far but the odds are against it ending happily. So sad. Poor little fellow. I hope he makes it. Poor little bird -- hope he gets help and survives ! Amazing beautiful colored bird and a great capture of it. Lovely colors in those feathers. Nice capture. Poor little thing I hope it is able to adapt to its disability and survive. Poor little bird! Very colourful though! Oh, the poor little thing. I do hope it survives. Sad looking bird, lack of a beak will likely limit life expectancy. @cottiac Thanks for your concern - we actually don't have a rescue centre as such, but just a team of vets and a few other volunteers. They wouldn't have the time to go searching. However I will phone them to see if it has been reported and if so anywhere near here! I will definitely watch out for it and report it should I see him again. I have previously taken an injured lorikeet to one of the vets.